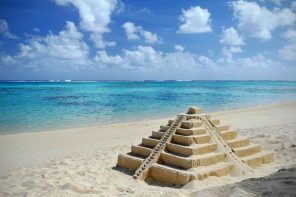 Cancun has become well-known as a melting pot destination where you can find pretty much any activity or tour to suit everyone from the lone singleton to big families… but before this, Cancun was a world renowned party city. 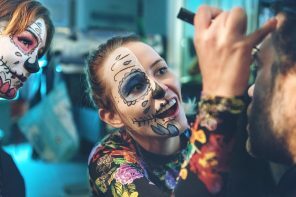 It still is, to be fair, and these days there are so many options that it can be hard to plan the ultimate night out, and this is why we have created this list of the best nightlife in Cancun. 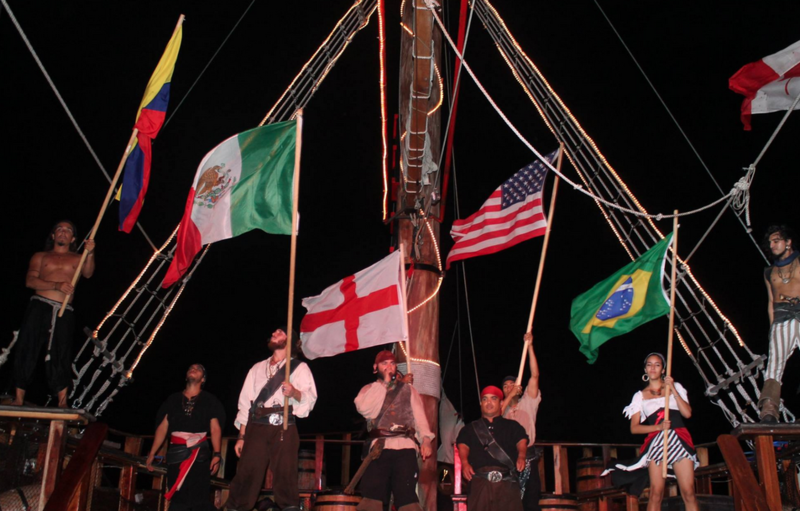 For some solid family-friendly and adult fun aboard a replica spanish galleon, join us on the Jolly Roger Pirate Ship for the best experience of nightlife in Cancun. 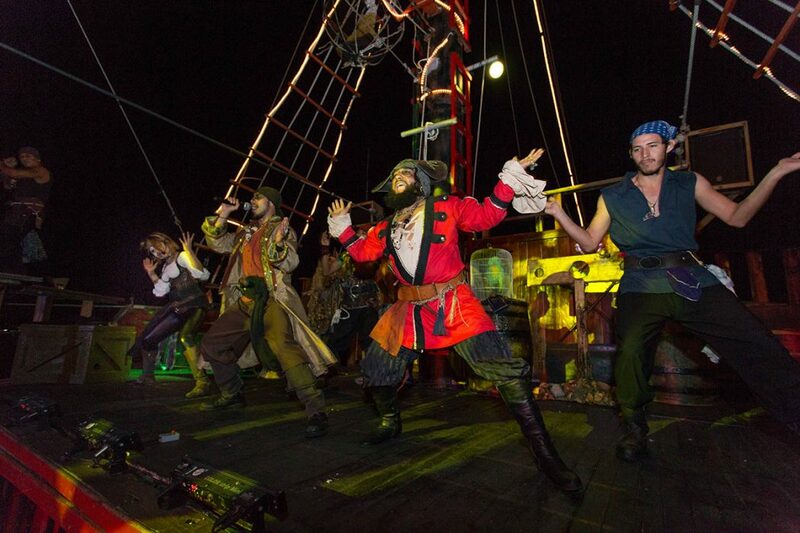 Our incredible three and half hour pirate show, cruise and three-course dinner, which includes a premium open bar and fireworks, is a great way to spend your evening or get you in the mood for late-night clubbing in some of Cancun’s nightclubs mentioned below. 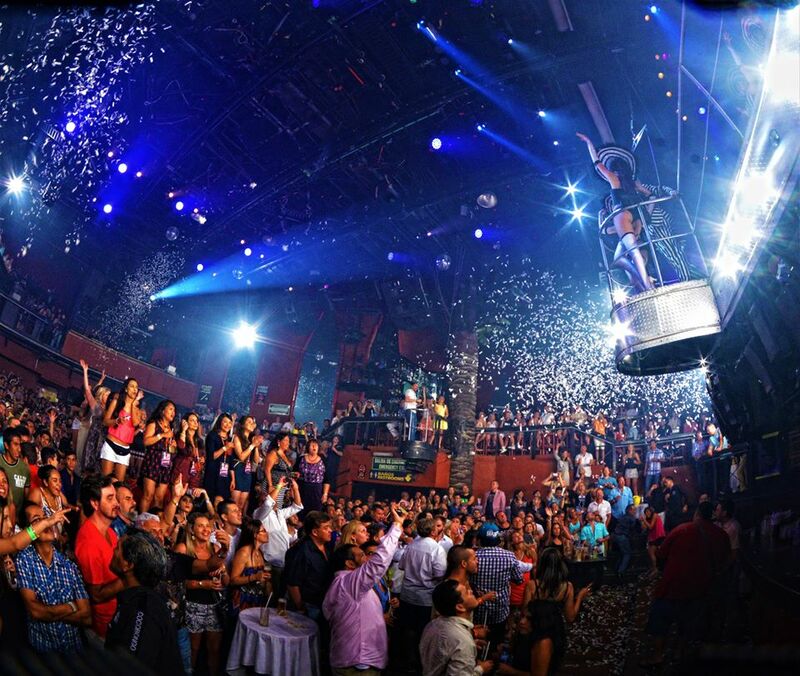 It would be hard to find a more famous nightclub in Cancun than Coco Bongo; huge media outlets like MTV, Rolling stone, and E Entertainment love this club, and it is very easy to see why! Nightly live shows which include acrobatics, impersonators, and a light show (as well as confetti and balloons) are held in this huge venue in order to entertain the 1,800 guests it can hold. Certainly worth being on the list of the best nightlife in Cancun alongside the Jolly Roger Pirate Ship show. The City is an enormous venue which holds around 5,000 people, and has featured artists like Snoop Dogg, Paul Van Dyke, Flo Rida, and Tiësto. The dazzling light and sound systems throughout the three levels and nine bars ensure that each area of this club complex (for that’s what it feels like) gets the same high-quality experience. 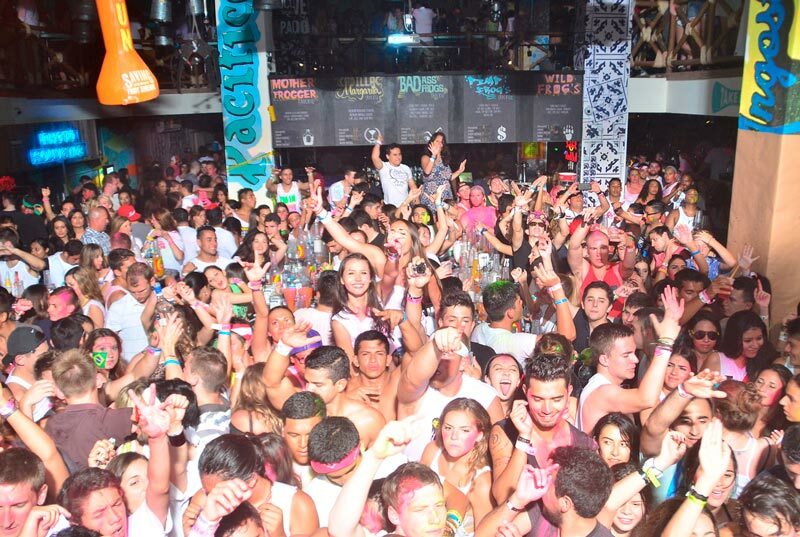 Mandala is the most popular open air clubs in the city and a staple of any list that mentions nightlife in Cancun. It provides the best area from which to watch the comings and goings of the Hotel Zone. Above and beyond this, however, the décor is sumptuous and unusual, and the music mix here is terrific; you’ll definitely be tempted to get up on the dancefloor. Dady’O’s is one of the most storied clubs in the city, and features a totally unique blend of bikini contests, theme nights, laser shows, acrobats, and dancers. The DJ’s here spin everything from 80’s classics to hip-hop and dance. The trendy décor at Palazzo (first known as Christine, and then Bulldog before becoming Palazzo) is spot on, and making a reservation will earn you free transportation, too! This club has guest DJ’s, too, so you can be sure the music will be good. Senor Frogs is pretty much the gold standard when it comes to nightlife in Cancun; just stepping through the doors will set you on the right path to a good night out. The lively atmosphere and inviting staff are what make this place so well-known across Mexico. La Vaquita is a quirky and fun club which is full of energy and excitement. The name translates to “the little cow”, and so it is appropriate that the décor is cow themes. You can get comfy in the lounge, or stake out a platform for people watching, but either way you should grab a litre drink to stop you from refilling so often. 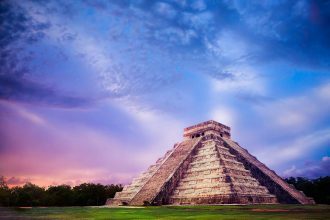 What are your preferences for nightlife in Cancun? 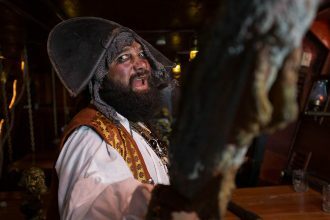 Leave us your recommendations or write a review about the Jolly Roger Pirate Ship Show.